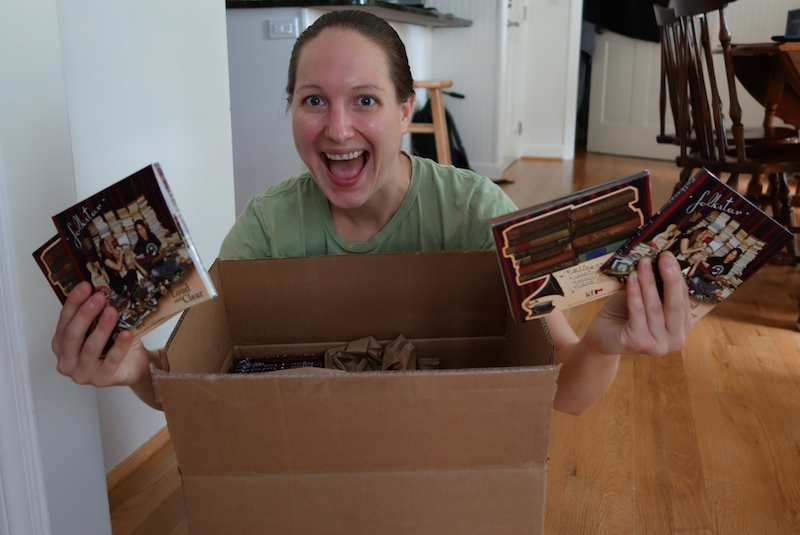 The CDs have finally arrived and we cannot contain our excitement! The feeling of opening that box after months and months of hard work was just exhilarating. While we’re proud of the songs, we’re also totally in love with the overall package. There’s a booklet inside with lyrics and some awesome photos from our shoot with Megan Deitz. Sue did our cool cover photo. 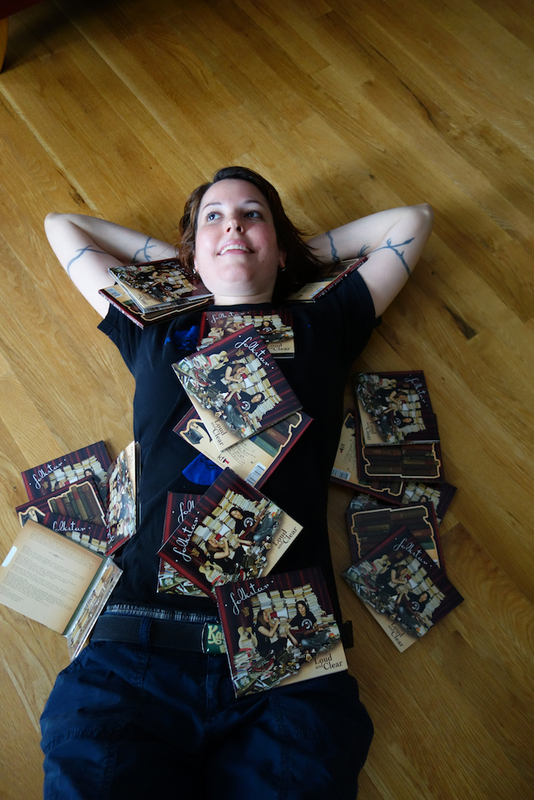 And the album art and design was magically whipped together by Kimberly Baker at Shatterbeck Visual Creations. On August 20, you too can hold a copy in your hands! Or you can roll around on the floor with a whole bunch of them like certain people ::cough:: Sue ::cough cough:: . Whatever you’re into. I'm going to use these CDs as a blanket.